I’ll be on this weekend’s episode, Been There, Done That. Okay, that sounds a bit strange. Reviewed by Review? Oh, well, you get it. Read it here. Civil War News recently reviewed Man of War. Click here to read what they have to say. Please forgive my botched Latin. The Washington Post has reviewed Man of War. Read it here. The Dallas Morning News has reviewed Man of War. It’s Man of War Pub Day! No, I’m not going to drunkenly read my book, Man of War, at Los Angeles pubs. It means that today’s the day it’s published! What’s it about? Check out the silly book trailer I made. Want to buy it? Shop here: Amazon, Barnes & Noble, Indiebound, Powell’s or your local bookstore. NatGeo TV will be airing a documentary called “Extreme Civil War Reenacting” on May 10th. Step One: Grow a hideously itchy beard. 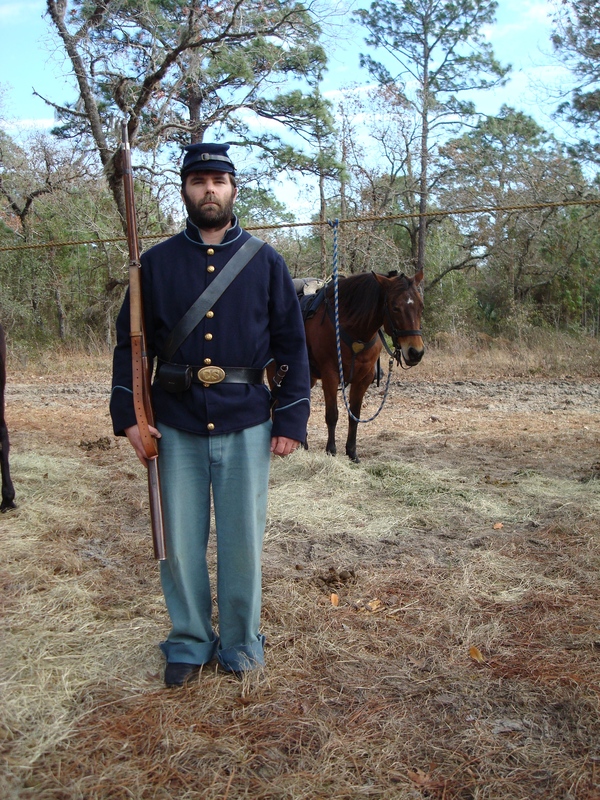 Step Two: Pay your two-dollar entry fee to the Brooksville Raid, Florida’s largest Civil War reenactment. Step Four: Blithely go about volleying blanks with your fellow soldiers while Roseanne Barr mistakenly loads three packets of gunpowder down the barrel of her replica 1862 Enfield musket. Step Five: On the “F” in “Fire!” pull the trigger of your musket, then as the crack of Roseanne Barr’s makeshift “cannon” knocks you and your fellow reenactors ten feet sideways, bend over, grab your ear and scream an expletive. Step Six: Play dead and later shoot a video in which you narrate your demise (below at 1:15). Coming this weekend, the 32nd annual Brooksville Raid, Florida’s largest Civil War reenactment.